Direct mail and print still play an important role in educational marketing as teachers don’t spend their working days in front of a screen. Add the importance of accurate data and the combination adds huge value to responsive marketing for clients, which is why Rapport has launched Teacher First. We take your marketing materials – flyers, leaflets, brochures – and deliver them along with our high quality editorial content to the key individuals who make the decisions in classrooms across the country. The content of each issue addresses topics of great interest to the target teachers in either the primary or the secondary school sectors. Each issue carries only promotions relevant to the content theme. Publishing frequency is half termly. Six times in a school year each issue tackles a topic of importance to teachers. School visits focus for Primary promotes learning outside the classroom. Schools require the best, effective technologies to boost performance. Teaching aids and management systems for effective and best learning communications. Curriculum picks for Primary Literacy resources and numeracy lessons top demands. Best for teachers in Secondary Selection of the top resources for all major subjects. Personal focus in Primary Spotlight on ways to deliver pupil understanding on key emotions. Career decisions for Secondary Student futures start with support about the world of work. Play works for Primary Facilities for playgrounds and sports fields are key to healthy children. 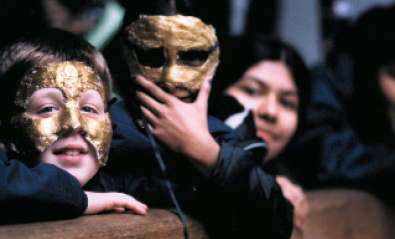 Expressive arts in Primary Children thrive on play through the best in arts, drama and dance. Summer fun for Secondary Enjoy the Summer term through learning fun. With direct mail marketing proving to be the most successful way to generate sales, and with response figures above 4%, a themed shared mailing, relevant to your product or service, is the cost-effective way to reach new customers. 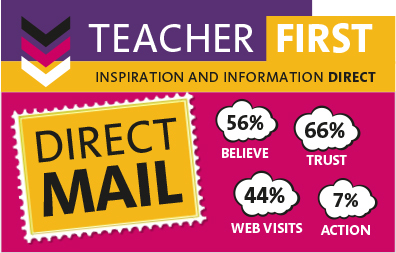 Launched by Rapport, specialists in educational marketing, Teacher First offers clients an original way to reach teachers. Find out more about this exciting new service by calling Brendan Fitzpatrick on 020 8973 0040 – he’ll happily discuss about how we can help you reach the decision-makers you need. 56% of people believe that printed marketing is the most trustworthy form of communication, 66% of consumers keep their mail for over 2 weeks. Even in a digital world direct mail gets 44% of recipients to go your website.